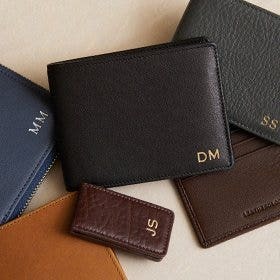 The wallet that does it all. 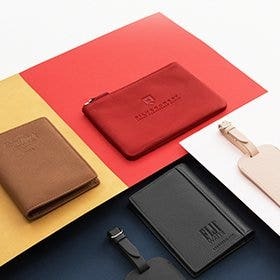 Made to combine all that you love from a money clip and card wallet, the Money Clip Card Holder features a leather-wrapped metal money clip that is attached to a slim bifold card wallet. 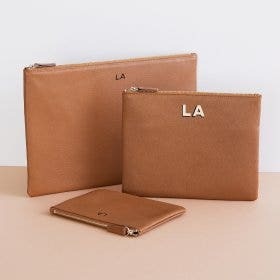 The perfect size for your essential cards and cash, this slim wallet is great for those who like to carry a little of everything where they go. A warm chestnut hue, this is our take on a true brown. Compared to Chocolate which has more of a muted hue, this leather has a richer brown color. Service great. Our son loved it! 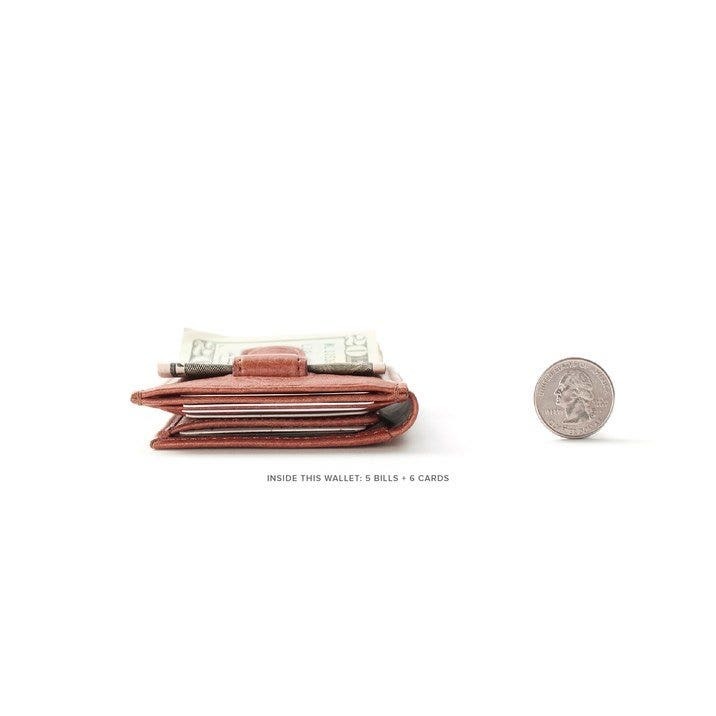 I bought this wallet/money clip as a Christmas present for my daughter's boyfriend. His previous wallet had a magnetic money clip and the magnet was damaging his credit cards. I looked a long time for a nice wallet that had a non-magnetic money clip. This one is perfect and looks very nice. He was very happy with the gift! 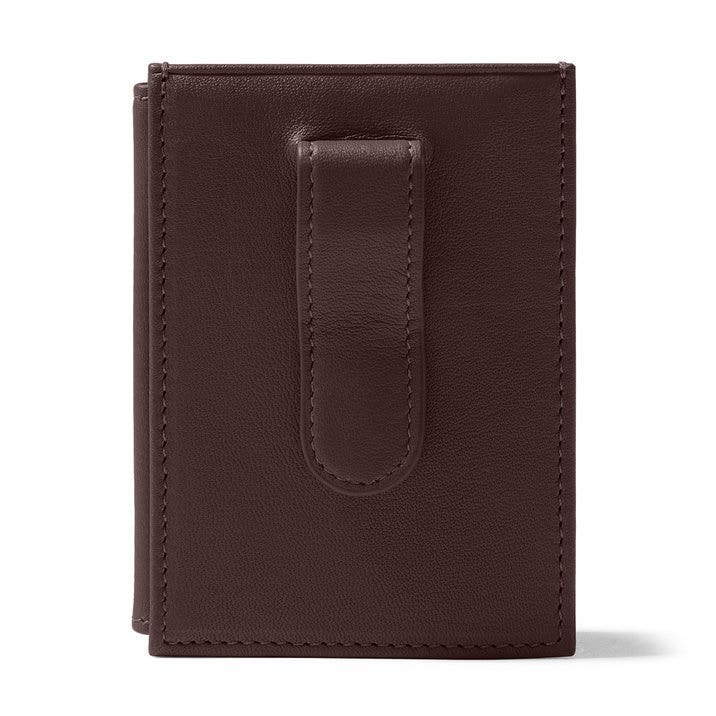 Fine quality leather, sturdy construction, but pockets are so tight it's difficult to remove cards. 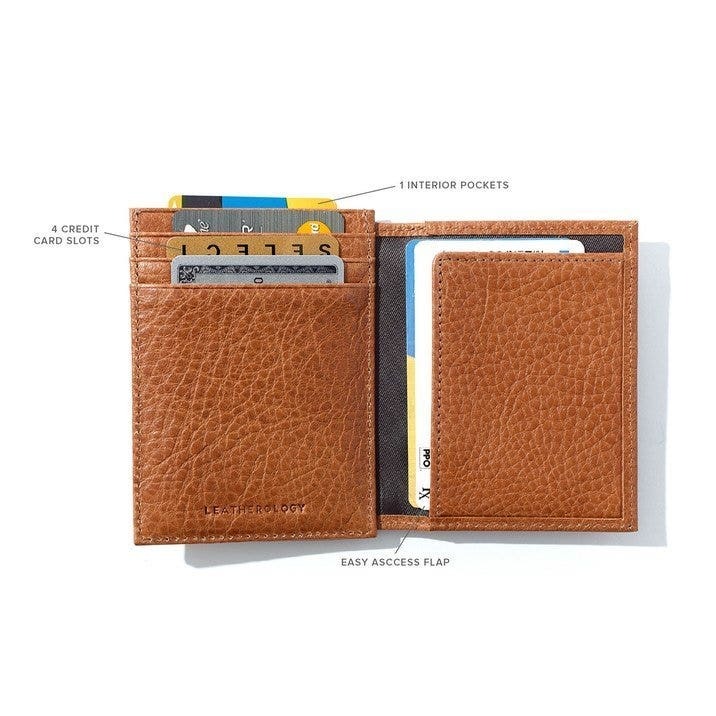 particularly storage pocket behind card slots. I purchased this beautiful money clip for Christmas for my husband. He loves it. The wallet part allows him to keep his credit cards and the clip works perfectly. The wallet hold enough cards and the see-through pocket for his license is ideal. 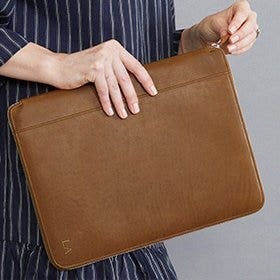 When i saw this item particular item as i was looking for the perfect money clip for my personal use and read the description, I could not let it pass me by. Everything was to my satisfaction with the exception of the engraving due to me not being able to put all my initials. I was only allowed to put ltb and my legal initials are ltbjrnut despite that, my purchase was well worth the money I spent for it. 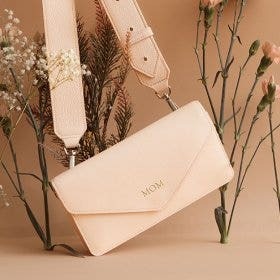 When it arrived at my home, I was surprised the way it came in an small box wrapped as a gift with a bow on top and additional information about the money clip. Very good quality. It shipped quickly even with personalization and the packaging was fantastic. 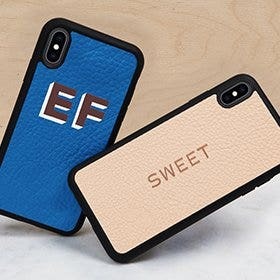 I ordered this as a gift for my bf, I received it and it’s exactly as pictured in photos. Which is exactly what I wanted and ordered. Big smiles! Super Happy! Got this as an early Christmas present for my husband. 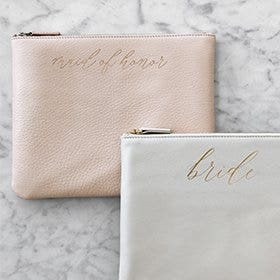 This replaces an older wallet. He loves the slim profile. 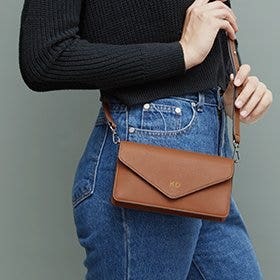 Holds my cash and cards in a thin front pocket wallet.